Client: Backdoor Slider Media, Inc. Description :Out of Write-Field.com gives you the latest baseball news, plus views and opinions from writers who love baseball as much as you do. Whether you want to know what your favorite blogger is saying, you want to let people know what you’re saying or you simply want to find out if your team won yesterday, write-field.com is the place to do it! Write-Field.com...Covering baseball between the foul lines and beyond. Design a logo and theme. 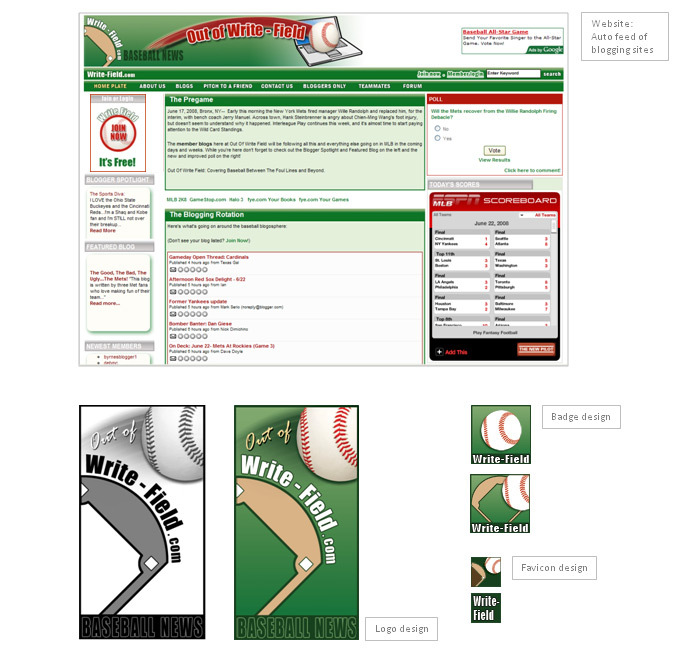 Develop a customized website to facilitate a baseball blogging platform. Page Layout, contest entry, member login, content blocks for designated content allocation.